Aloha! Macadamia nuts are as Hawaiian as pineapples and coconut bras. Chocolate covered macadamia nuts are my favorite anytime I head to the Hawaiian Islands for vacation. These make great gifts for friends, family, coworkers, teachers, or bosses. These chocolates tend to be quite cheap in the Aloha state, but here on the mainland, it's a bit more pricey. Costco allows you to get these for relatively cheap versus other retailers. The only way to get these any cheaper is to fly over to Hawaii. If you're one of the lucky people living in Hawaii, the Costco in Honolulu (yes indeed there are several Costcos in Hawaii) offers more varieties of chocolate covered macadamia nuts products. You can get dark chocolate if you prefer that over milk chocolate for example. 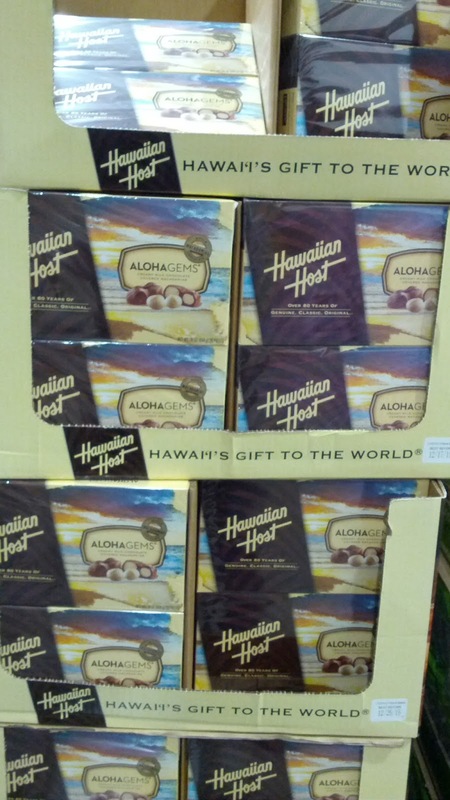 Hawaiian Host Chocolate Macadamias: a taste of Hawaii here on the mainland. 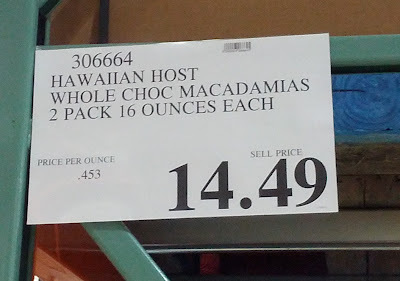 Hawaiian Host chocolates are cheaper at Costco than other places.